Dr Dien Dang undertook his medical training at the University of Adelaide, then working in the United Kingdom NHS before returning to the Royal Adelaide Hospital to complete his specialist training. He has completed fellowships in Respiratory and Sleep Medicine at the Western Hospital in Victoria, and the Melbourne Sleep Disorders Centre. He is a fellow of the Royal Australasian College of Physicians (FRACP), is accredited in Respiratory and Sleep Medicine, is a member of both the American Academy of Sleep Medicine (AASM) and Australasian Sleep Association (ASA), and the European Respiratory Society (ERS). 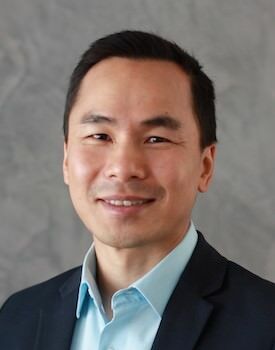 Dr Dang currently holds a Senior Staff Specialist position at the Royal Adelaide Hospital, and is a Senior Clinical Lecturer at the University of Adelaide. His Respiratory interests include lung cancer, COPD and interstitial lung disease. His clinical practice in Sleep Medicine encompasses all aspects of sleep including snoring and sleep apnoea, REM Behaviour Disorder, the Restless Legs Syndrome, Circadian Disorders, Narcolepsy and Parasomnias.